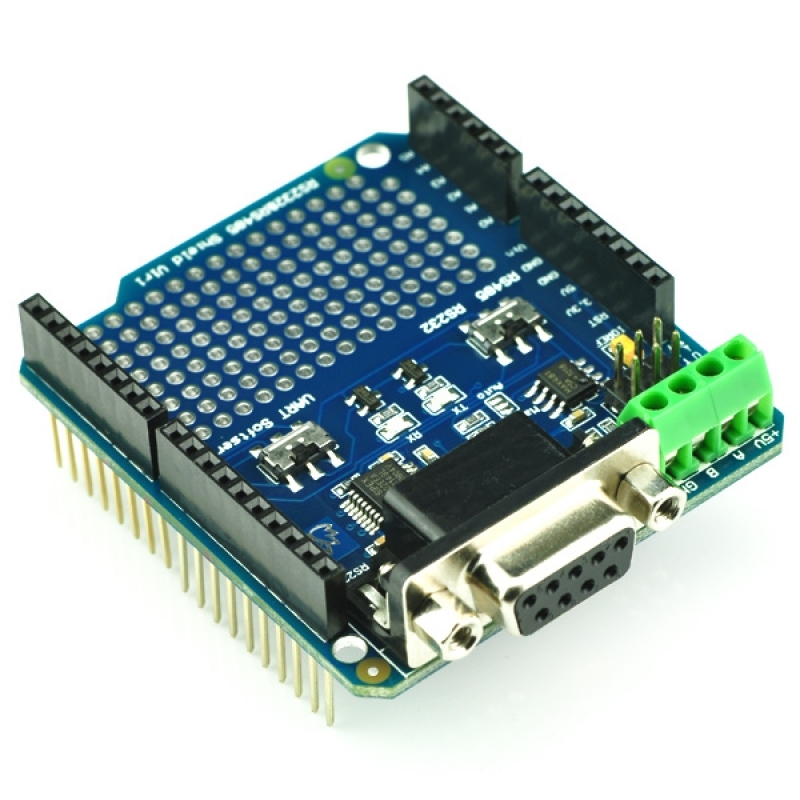 It is both a RS232 shield and also a RS485 Shield for Arduino. It can easily convert UART to RS232 or RS485 interface. 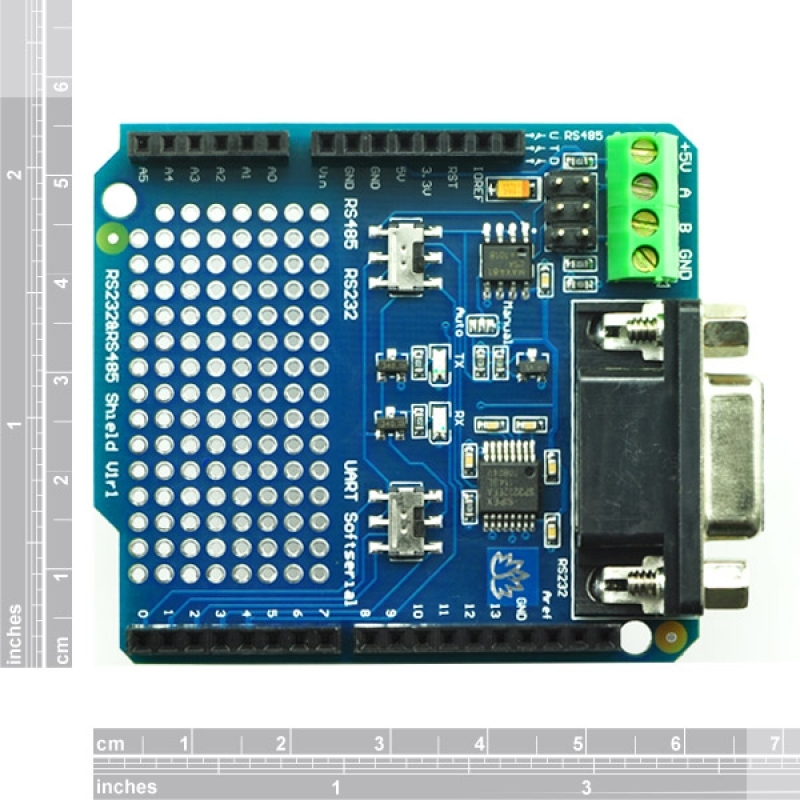 The shield integrates DB9 connectors (female) that provide connection to various devices with RS232 interface and also provide a RS485 screw terminal interface. 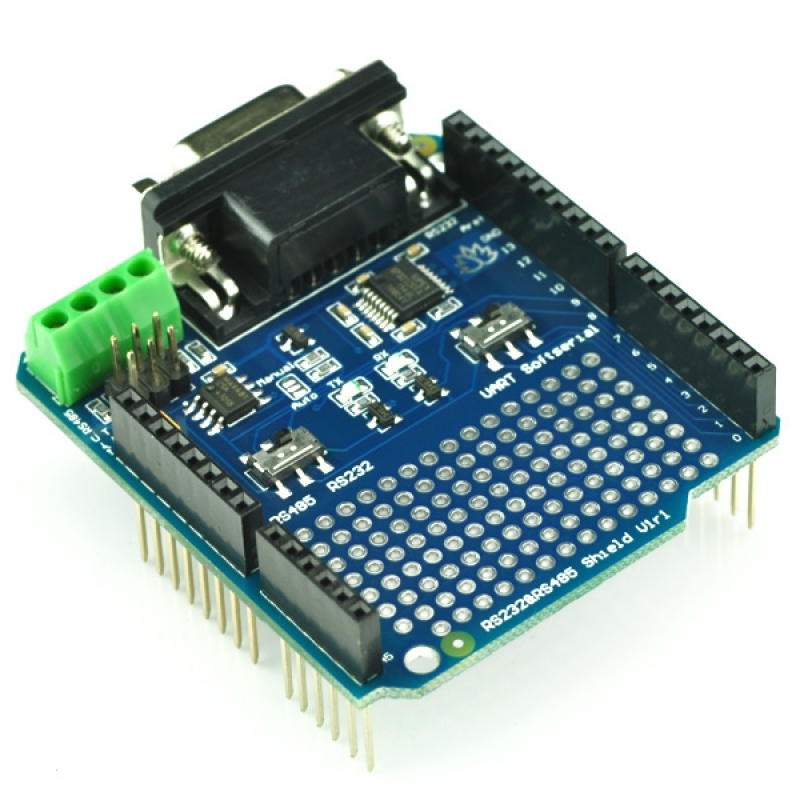 It provides the prototyping areas to make full use of extra space on it, which is highly convenient for prototyping. This shield provides 2 mode setting switch. UART/Soft serial settting and RS485/RS232 setting switch. 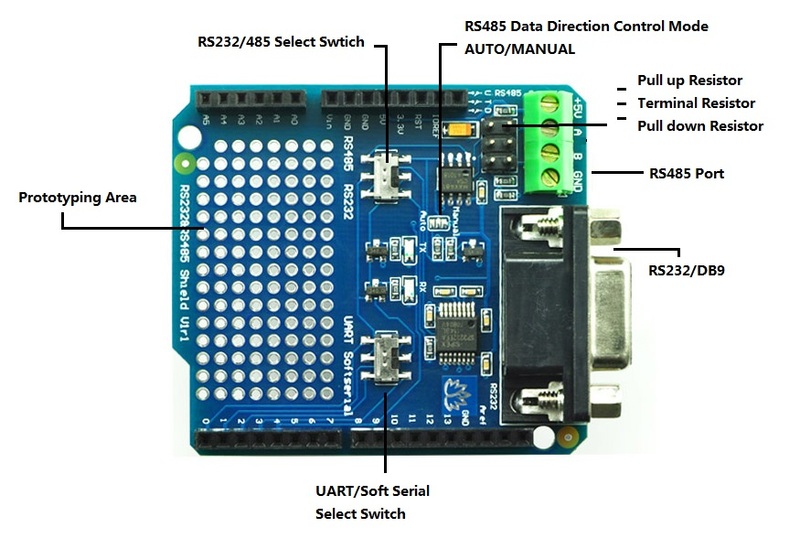 When UART/Soft serial switched to Soft Serial, you'll be able to programming the Arduino controller or communicate with soft serial; When switched UART, you can use the UART port.